Frozen fanatics got some very good news this week. On Thursday, Disney finally announced the sequel to Frozen, which means that we will be reunited with Anna, Elsa, Olaf, and the rest of the gang for another feature-length flick. Olaf voice actor Josh Gad was present during the announcement, so it's pretty much guaranteed that his character will play a role in the new film, and Anna voice actress Kristen Bell says she's been waiting for the announcement so she can get back into character as soon as possible. But what of Idina Menzel's Frozen 2 participation? 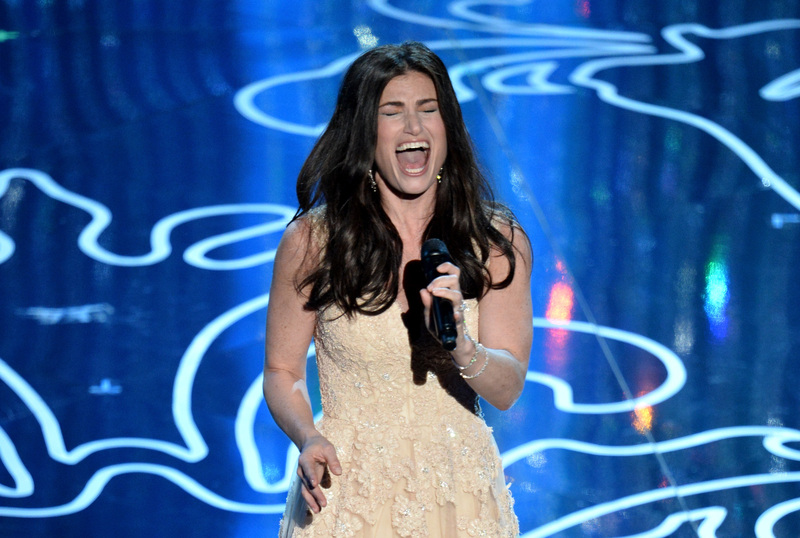 After all, she's the Broadway phenomenon who lent her killer pipes to snow princess Elsa — she has to be in the movie! Well, don't worry, guys: the news is good. Though Menzel hasn't officially confirmed her role in Frozen 2, there's a great chance that she'll return to the cast. Menzel was one of the first Frozen stars to talk about the planned sequel, stating that she'd love to return to the cast should the film be officially announced. It seems that everyone in the cast is just itching to get back into the recording studio, and Menzel, who made the iconic song from the Frozen soundtrack "Let It Go" a radio hit, just has to be along for the ride. If only we didn't have to wait for the official cast list. Menzel belongs in Frozen 2, and here's why we absolutely need to see Menzel back in the role of Elsa. A new "Let It Go." If you're like me, this song juuuust stopped being stuck in your head. I'm down to replace it with another epic ballad. More of the same Elsa. We need Elsa to return for Frozen 2 — it just wouldn't be the same without both princesses — and anyone else voicing Elsa just wouldn't feel right. The former Broadway star has sung "Let It Go" so many times in so many different ways live that her work outside of the animated film has become an extension of what makes the movie so great. I already can predict what the Oscars will look like after Frozen 2 hits theaters, and it might involve a special performance by the one, the only, "Adele Dazeem."